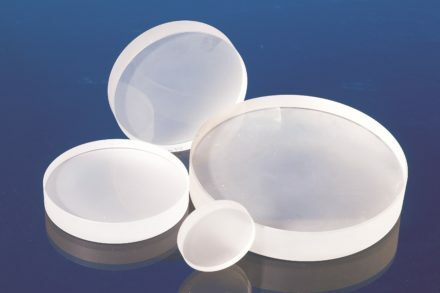 The STAN-SSH High-reflectivity Specular Reflectance Standard is a mirrored, fused-silica standard that can be used as a reference when measuring surfaces with high specular reflectance values such as optical substrates, optical coatings, machined metals and semiconductor materials. The STAN-SSH provides an ~85-90% reflectance across the 250-800 nm wavelength range and an ~85-98% reflectance across the 800-2500 nm range. The NIST-traceable STAN-SSH-NIST is calibrated to a NIST master (NIST part number NIST38060S, s/n 091710A5) with approximately 1.0% accuracy from 250-2500 nm). With the shipment of the NIST-traceable version, the customer will receive a certificate of calibration, a data sheet with the reflectance values as a function of wavelength and a diskette which contains calibration data that can be transferred to a Spectrometer Operating Software. A periodic recalibration of the STAN-SSH-NIST is recommended. Ocean Thin Films offers a recalibration service (STAN-SSH-RECAL) for Call for Price. Should the calibrated surface become corrupted, a recoat and calibration service is offered for only $390. 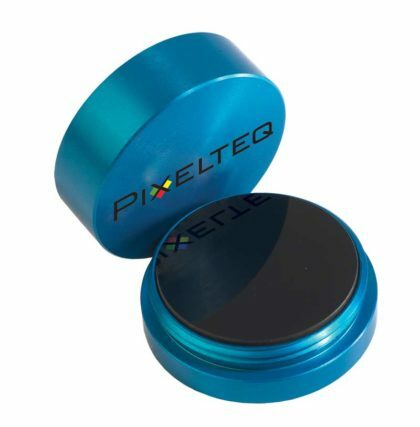 The STAN-SSH substrate measures 1.25″ in diameter and is housed in a sturdy 1.5″ x 0.75″ blue anodized aluminum enclosure and protected by a screw-on top. The use of the STAN-SSH is limited to 250-2500 nm. Use the STAN-SSH to set a high-reflectivity reference. 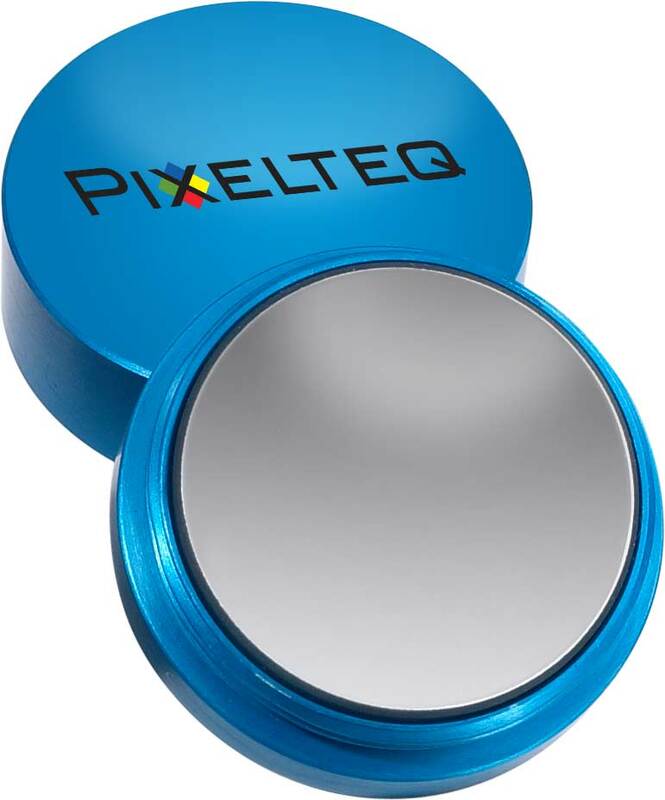 Although the STAN-SSH aluminum coating is protected with a proprietary overcoat, the user should handle the standard with care in order to avoid corrupting the integrity of the calibrated surface. The surface should not be touched by hands or objects to avoid contaminating or damaging the surface. To clean the STAN-SSH surface, first remove dirt and dust by blowing it off with a pressurized gas. Then use the drag method of cleaning to remove fingerprints and residual contaminants. In the drag method, lens tissue saturated with reagent-grade isopropyl alcohol or acetone is slowly dragged across the surface. Done correctly, the solvent will evaporate uniformly with no streaking or spotting. 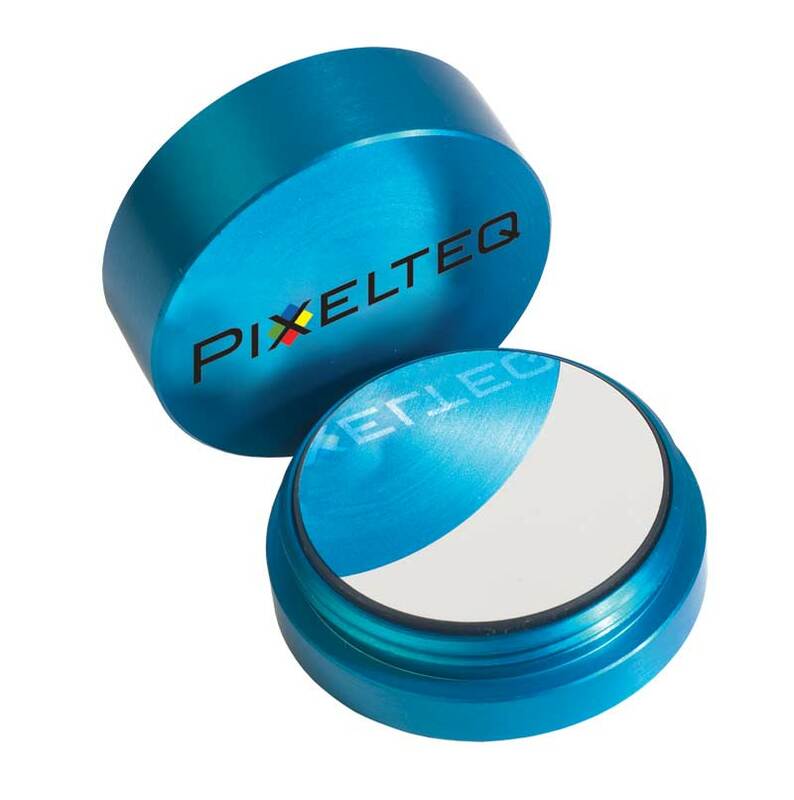 Bare metallic coatings are delicate and cannot be cleaned in this manner. Dirt and fingerprints will permanently damage a bare metal-coated mirror so a user should handle the STAN-SSH carefully to prolong the life of the coating. 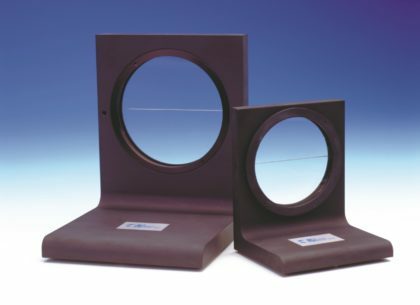 The STAN-HOLDER is a convenient accessory option for keeping the standard secured in place or to an optical post during measurements. STAN-HOLDER is available for $99.